"Passin' It On" is an expression of my western roots and experiences I've had along the trail. It contains 31 tracks, 27 of which are original western/ cowboy poems (well...I liked them all!) and 4 original songs, sung by award-winning singer/co-writer,Abe Zacharias. Most of the poems (serious and humorous) are set to background music by Juno Nominated producer David K.
Two of the poems have won awards: "Winter Range" and "Those Who Have Gone Before". This CD is available for $15.00 postage included, US and Canada. 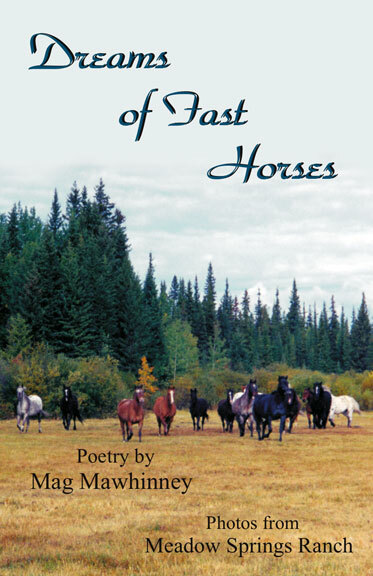 WMA "2013 Cowboy Poetry Book Of The Year" ! 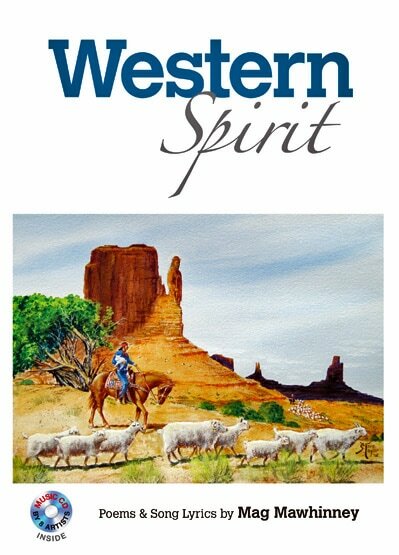 Mag's newest book is a beautiful volume containing 122 pages of western roots poems, song lyrics and photos. 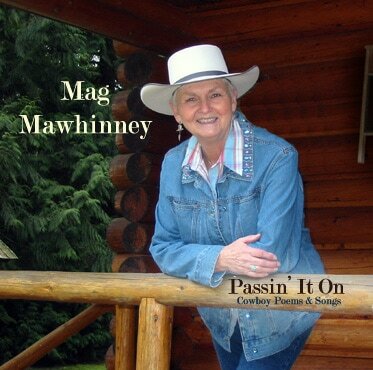 The book also includes a compilation music CD, with eight artists who have composed melodies for 13 of Mag's songs: Abe Zacharias, Al Owchar, Larry Krause and Jim Peace from Canada and Stephen Harrington (Mountain Saddle Band), Robin and Kathie Arnold, Almeda Bradshaw and Alan Cayn from the U.S.